What is my APS for University Admission? “What is my APS?” is a question that Matric pupils and first time students often want to know when applying to study at a university. When do I need to get my APS? You need to get your APS (Admission Point Score) mark before you can apply for a course at a university. How do I get my APS? 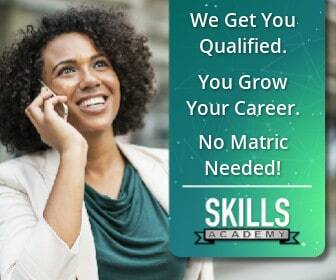 First you have to have your final Matric examination certificate. Your top 7 Matric subjec’ts marks are changed into a point system that works out your APS (see diagram 1 below). This means you get a point for each Matric subject that you wrote in the final examination. The number of points you get for each of your final Matric examination will depend on what percentage you get for each subject. The points you then get for each subject should be added up, and the total points you get will be your APS. (See the diagram 2 below as an example of how you calculate your APS). How do universities use the APS to allow you to apply for a course at the university? Universities use your total APS point to see if you qualify to study for the specific course of the university you want to apply for. Take note: Each university allocates the amount of APS points needed to study a course. This means that a course at one university won’t need the same APS points as the same course at another university. It is very important that you make absolutely sure you find out what a university’s specified minimum APS points are for a specific course before you apply, as well as all the other specifications. For example: Say you want to apply for a teaching course at a university, then that particular university states that your minimum APS must be 30. However, another university might state that their minimum APS for application for a teaching course is 20. Also important to remember: Make sure that you always study hard to get the highest marks/grades you are capable of getting, because it is not always enough to have only the bare minimum necessary to get accepted for the degree you want to study. You need a good APS to be accepted at a university of your choice. Various organisations use the APS system to get access to your marks. Your APS shows you if you have the minimum requirements to be able to study a specific course at a university. For further information about APS and how it works and why you need it, please click here.